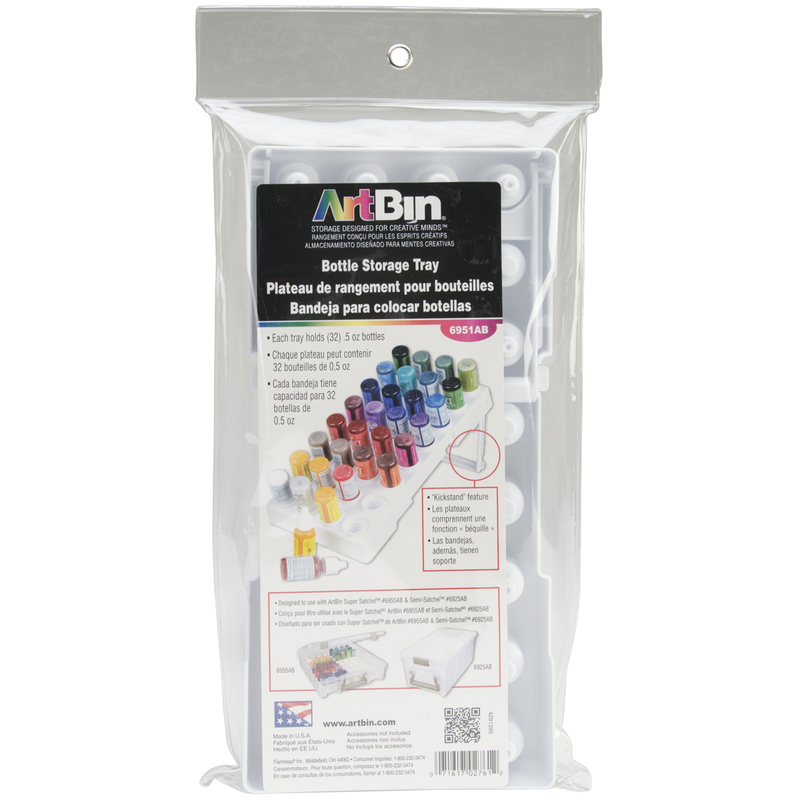 ARTBIN-Glitter Glue Tray. Storage designed for creative minds! Each tray holds thirty-two .5oz bottles and features a kickstand for easy access. Designed to use with Artbin Super Satchel #6955AB & Semi- Satchel #6925AB. This package contains one 12-1/4x6 inch bottle storage tray. Accessories not included. Made in USA.